Thanks to Noam Kroll and Erik Naso, we have a pretty good idea of what Blackmagic Magic will unveil in Vegas this morning - to include a truly revolutionary $2995 URSA Mini Super 35 camcorder, with interchangeable lenses, a global shutter, Blackmagic's standard CinemDNG RAW, 4K, 12 stops of DR (15 stops on the $4995 4.6K model), an optional EVF and easy compatibility with a shoulder mount. Even before we see the detailed specs from the Blackmagic press event, we do know one thing - there has to be consternation in the executive suites at AJA, Arri, Canon, JVC, Panasonic and Sony (which is exactly what Blackmagic CEO Grant Petty set out to do when he started building cameras a few years ago). 1. $40K Arri Amira. Recently upgraded to 4K, this camera produces amazing images in a near-perfect shoulder mounted form factor. And with Arri color science, it is a perfect match for industry-standard Alexa. 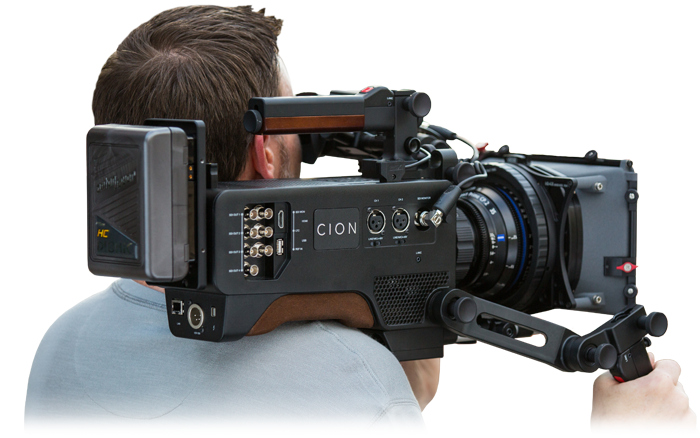 But at $40K, its cost is prohibitive for most indies and micro-budget filmmakers. This camera will continue to see considerable use at the high end of the market, but for indies, the price mismatch between Amira and URSA Mini is ridiculous - you could buy a Mini for less than the price of renting an Amira for a week. 2. 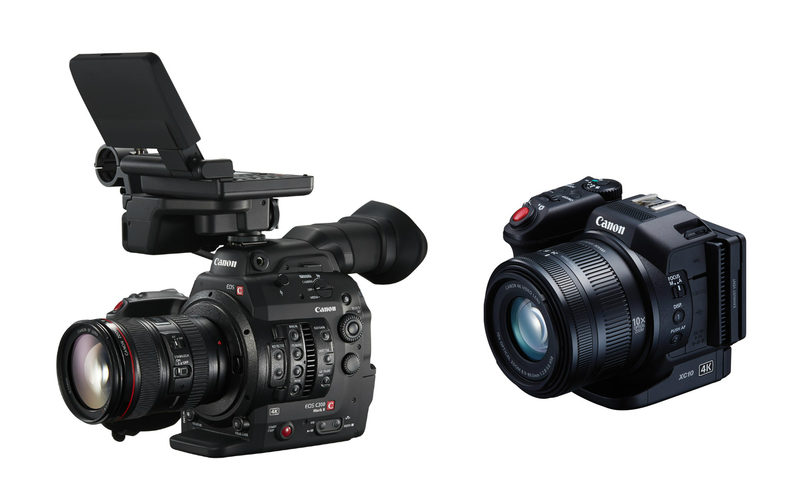 $16K Canon C300 Mark II (and $2.5K XC10). Canon's pre-NAB announcement of these cameras was clearly designed to steal the limelight at the show. URSA Mini has pretty much stolen it back. The C300 Mark II costs 5 times is much and lacks the Mini's internal raw recording. Plus, it requires expensive rigging to get it up on your shoulder. As for the XC10 - it costs almost as much as Mini, but is a fixed lens, 1" sensor toy by comparison. 3. $9K AJA CION. Beautiful ProRes images in good light and nice shoulder mounted ergonomics - but no internal RAW. 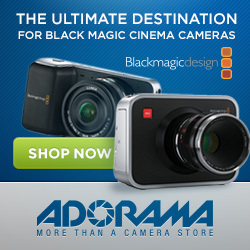 Overpriced compared to every Blackmagic RAW camera, to include Mini. 4. $8K Sony PXW-FS7. With its shoulder mount, optional viewfinder and extensible hand grip, URSA Mini appears to be a clone of the FS7 - but for $5000 less. Plus, Mini has the internal 4K RAW recording the FS7 lacks. 5. $4K JVC GY-LS300. URSA Mini very nearly strangles the LS300 in its cradle. JVC introduced this promising camera late last year, but has yet to ship it in meaningful numbers in the States. Despite the fact that its h.264 compression gave it the weakest codec of any of the cameras on this list, it had the advantage of being the lowest priced UHD "4K" Super 35 interchangeable lens camera on the market - until today. Unfortunately for JVC, even with the viewfinder and a shoulder mount, Mini will be about the same price as the LS300 - with higher resolution, wider DR and a superior codec - and the LS300 is another camera that needs expensive rigging to get it up on your shoulder. As far as Panasonic goes, we don't know much about their new "heir of DVX100" camcorder yet, but if it is not competitive on price, it will be stillborn at this morning's press conference. Bottom line is that URSA Mini will force prices down even faster and further than we have seen already over the past couple of years. 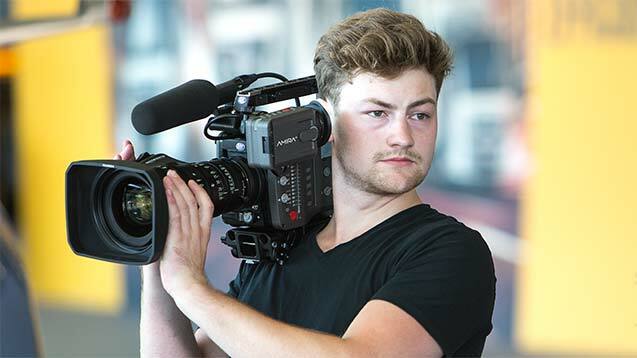 Even if you never buy a Blackmagic camera, you should send Grant Petty a thank you note (unless, of course, you just bought a $2995 4K Blackmagic Production Camera). Please keep checking back during the day for more updates - and for HCR's view of what all of this means for micro-budget shooters. Probably there are others, but the URSA Mini lacking ND internal filtering still puts it a little in the DSLR field. 1) Latitude, where they strain to get to 10 stops. The Mini gets supposedly to 15 in the 4.6K version, which has a rolling shutter. Improvement. 2) Bitrate, most being 8 bit. The Mini gets to 10-bit, as all BMs I know. Improvement. 3) Internal ND filtering. External on all DSLRs and also on the Mini. No improvement. 5) Weight. DSLRs are light, but the Mini is not that light. No improvement. > URSA Mini lacking ND internal filtering still puts it a little in the DSLR field. Not really - RED cinema cameras don't have internal ND filters either (unless you buy a RED Motion Ti PL mount) - neither does the Sony F65 (unless you buy the Rotary Shutter option). That said, Sony, Canon and Panasonic are all including built-in ND filters on their latest cinema cameras. Blackmagic needs to step up its game and include built-in ND filters in the next URSA. Just mentioning the cameras included on this test. Film cameras didn't have internal NDs, so anyone used to them wouldn't miss that. My complaints were on the URSA and Mini URSA mostly. JVC GY-LS300 review coming soon!